Type 2 Diabetes – Can You Prevent It? Living here in Cuenca, Ecuador, I’m both encouraged that there are more opportunities to eat healthfully – and discouraged that so many people are choosing to eat the SAD diet…the Standard American Diet. It’s not just North Americans who are eating fast food, greasy burgers, french fries and quaffing gallons of sugary soda – it’s Ecuadorians too – and they’re grappling with the unwanted side-effects of poor diet and less exercise – as most of the Western world is as well. When it comes to our risk for diabetes – many people under-appreciate how lucky we are to have choice when it comes to what we eat. Food is one of the few things about our health and our future that we have control over. Some things we have absolutely no control over. Our age, our height, our gender is set when we’re born. Who our parents are, and the risk that they may pass down to us in terms of susceptibility to disease is written in stone – we can’t change our genes. In North America, health experts predict dire straights ahead. One in three Americans born today will develop type 2 diabetes – with complications of heart disease, blindness, amputation, kidney failure and early death assured if the disease is not controlled. More than 80% of newly diagnosed type 2’s are overweight or obese…type 2 is a “lifestyle” disease, one that’s closely linked to your weight and how much activity you get daily. In Ecuador, my new home, obesity and diabetes are growing epidemics – similar factors to what’s happening in the USA. For many the lack of physical activity and the ongoing transition from reliance on home-grown and home-cooked foods to highly processed foods, sugar-laden beverages – leads to higher rates of obesity, which critically increases risk for type 2 diabetes and cardiovascular disease. What used to be seen only in adults is now known as type 2 diabetes – children as young as five are being diagnosed with this disease. Because symptoms of Type 2 diabetes may be subtle at the start (blurred vision, poor healing, and neuropathy, excessive thirst and urination), on average, someone has type 2 for 6 years before they’re diagnosed – and by then, the damage is done…and it’s not reversible. Untreated and uncontrolled type 2 causes irreversible damage to eyes, peripheral nerves, then kidneys, and heart: it is the leading cause blindness, renal failure, and non-traumatic amputation. The younger a child is when he or she becomes obese, the more likely they are to be obese as adults – and the higher the risk for type 2 diabetes. How successful you are at controlling blood glucose mean s either living with diabetes or getting very sick from diabetes. A diagnosis can be a lifesaver – why? Because from diagnosis you can take steps to prevent complications – you can control your future – day by day. The Diabetes Prevention Program study conclusively showed that people with pre-diabetes can prevent and reverse the symptoms and improve insulin sensitivity. Subjects lost five to ten percent of their current weight, and incorporated just thirty minutes of moderate activity daily—and reduced incidence of progression to diabetes by 58 percent. You can do this too. But, it’s got to be permanent. It’s not “lose weight and then go back to what you did before”. It’s losing weight by making permanent changes to your lifestyle with smart food and activity strategies. Weight loss has additional benefits, including lower blood pressure, less stress on joints and tendons, improving sleep and making you feel more energized. 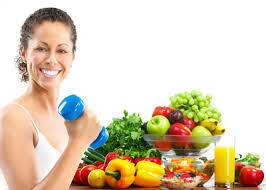 Keep up the activity, keep smart food choices permanent, and maintain your weight and your health indefinitely. According to the American Diabetes Association, diabetes is defined as fasting blood glucose of 126 mg/dL or greater. A diagnosis of prediabetes means blood glucose levels are higher than normal (a fasting blood glucose level between 100 and 125 mg/dl) but not yet diabetic. If this is your diagnosis, you can take steps to avoid advancing to type 2 diabetes. Experts predict that children born today will be the first to have a lifespan shorter than their parents. Type 2 diabetes is called an “epidemic” and like any other disease transmitted by personal contact people are more likely to “catch” obesity if their family members—and especially if their friends—are overweight or obese. However, the reverse is true as well, and if your best friends and family take steps to gain control—getting healthier and losing weight—that’s contagious, too. Choose your friends wisely, and be a role model to your family. How you choose to live your life may increase—or lower your chances of getting type 2 diabetes. Write down personal goals for losing weight and increasing activity: Some include staying healthy to avoid complications; feeling more energetic; fitting into good-looking clothes better. Post your goals on your bathroom mirror, and greet them every morning – check in with them in the evening – how are you staying healthy? One day at a time. If I choose a high calorie meal my other meals will be high in fiber and low in fat and calories. This week I will use half of my lunch break to walk (either outside or using the stairs). I’ll get a pedometer and start logging my steps and increase my steps by 500 weekly. Type 2 diabetes is a disease often passed down through generations. Take steps to make the changes to your lifestyle permanent, and defy your fate. Speak with your physician if you’ve not exercised recently.